Oprah Winfrey has officially named Holland America Line’s new 2,666-guest ship. Nieuw Statendam was delivered last November and is currently sailing its inaugural season from Fort Lauderdale to the Caribbean. At a ceremony in Port Everglades, Winfrey was joined by HAL president Orlando Ashford, Holland America Group and Carnival UK chief executive officer Stein Kruse, and Carnival Corporation CEO and president Arnold Donald. 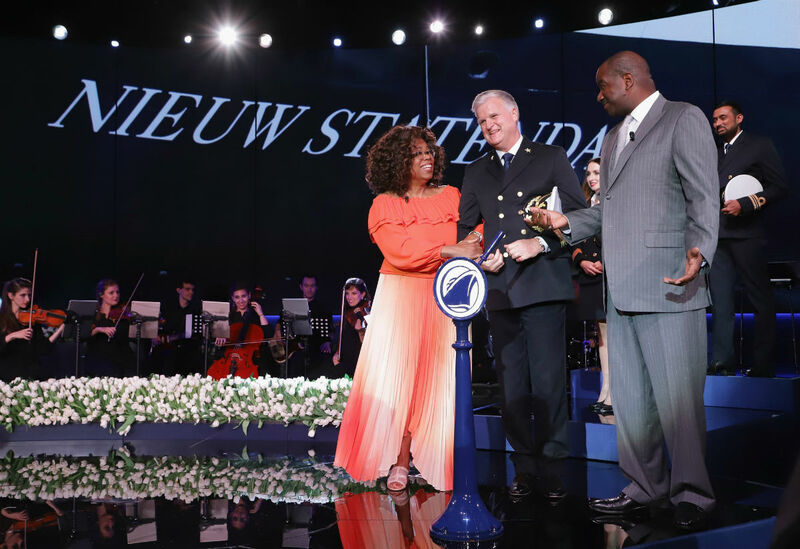 Ashford said: “We are deeply honoured to have Oprah Winfrey serve as the godmother of our newest ship in a celebration of our shared belief that travel has the power to open minds, build connections and inspire shared humanity across cultures and people. Nieuw Statendam’s dedication ceremony followed the three–day Girls’ Getaway cruise to the Caribbean, which celebrated the power of female relationships. Gayle King, editor-at-large of O, The Oprah Magazine, joined Winfrey on the cruise, along with several other senior editors from the magazine. Speaking of the cruise, Winfrey said: “It’s been an incredible experience to see people from across the world come together with one mind and celebrate themselves, honour themselves and honour each other.